Oil hit multi-year highs and stocks chopped slightly lower on Tuesday. In other words, we didn’t get too much action on a broad scale. However, that doesn’t mean we didn’t get big moves in individual stocks. 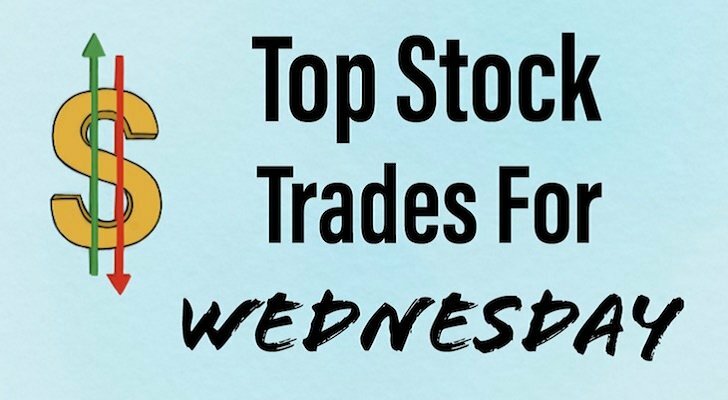 With that in mind, let’s look our top stock trades for Wednesday. Square Inc (NYSE:SQ) came under slight pressure Tuesday after the company announced a $750 million convertible debt offering. However, it didn’t hurt SQ stock too much. Neither did the announcement of PayPal Holdings Inc (NASDAQ:PYPL) buying iZettle for $2.2 billion last week. So where does that leave Square? SQ shares continue to chop between that $54 to $57 level. 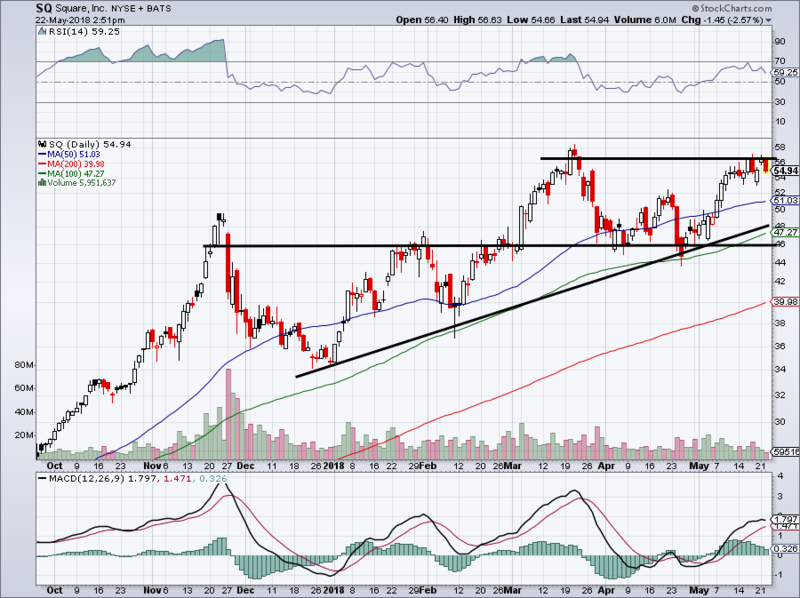 Should it close above though, investors can look to see if SQ can breakout over its previous highs near $58. If it falls below this range, a retest of $52 and its 50-day moving average is in the cards. Trend-line support and the 100-day moving average sit just below $50 and are strong levels of support, but bulls are hoping that won’t be something they need to worry about. Micron Technology, Inc. (NASDAQ:MU) jumped 8.5% Tuesday on news of its $10 billion buyback and continued strong earnings. With that, shares are now above $60 and it taking out its highs near $62 is a likely outcome. I still think MU stock is cheap and has a compelling valuation. But be aware of the volatility! MU stock jumps around quite a bit. Last time shares fell from $62 down to $46 on seemingly no news. I expect new highs to come, but even if that’s the case, MU can reverse. Its losses pile up in a hurry, so remember to be nimble if you’re a trader. My hope is that $56 will act as support if and when MU eventually pulls back. AutoZone, Inc. (NYSE:AZO) isn’t a name we talk about often, but Tuesday’s huge reversal has put it on our radar after it reported earnings. 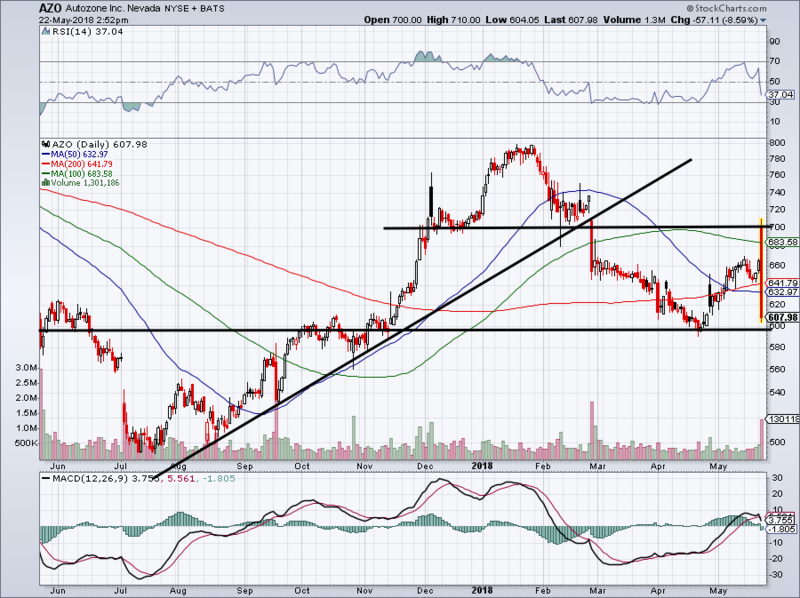 AZO stock ran up to $700 before hitting resistance and falling lower. In this huge reversal, shares sliced through the 50-day, 100-day and 200-day moving average. If it breaks below $600, look out. AZO will be in no man’s land at that point and $560 to $580 would be in the cards. Tesla Inc (NASDAQ:TSLA) is seemingly in the news everyday. Whether it’s production numbers, Consumer Reports stories or CEO Elon Musk tweeting. On Tuesday, a negative story about the Model 3’s spotty braking seems to be weighing on sentiment more than the positive import tariff news from China. I’ve long held the belief that $300 is a key level in the stock and said if TSLA isn’t above it, you shouldn’t buy it. Below all three major moving averages now and taking out its six-week low doesn’t bode well. 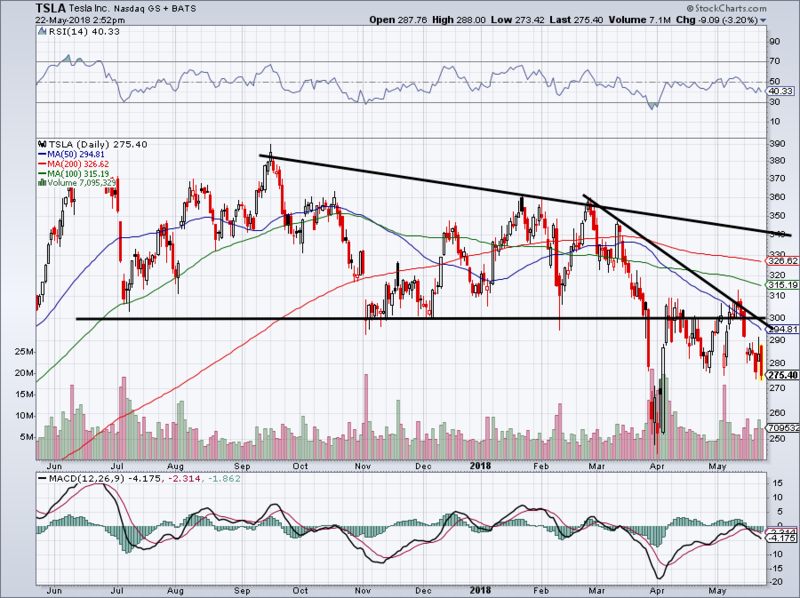 TSLA is a no-touch on the long side and a retest of its lows near $250 is certainly possible. I chose to go with JPMorgan Chase & Co (NYSE:JPM) over names likes Kohl’s Corporation (NYSE:KSS) or Baidu Inc (ADR) (NASDAQ:BIDU) for one simple reason: it’s chart is the easiest to dissect. In trading, the simpler, the better. KSS and BIDU have too many variables and maybes attached to it. JPM on the other hand is pretty straight-forward. After a rally from $106 support to $115, JPM and the other bank stocks needed to rest. After a slight pullback, JPM is back on the move. 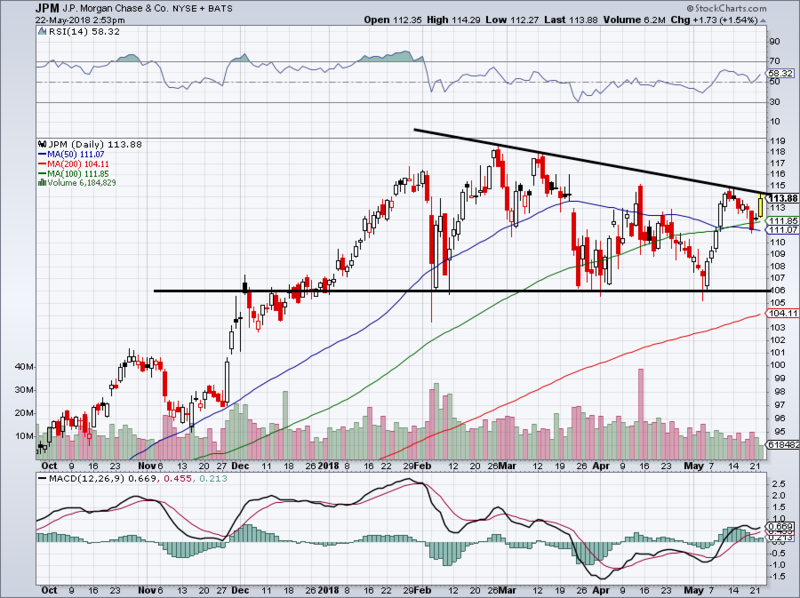 Here’s the simple part: buy JPM on a close over downside resistance. 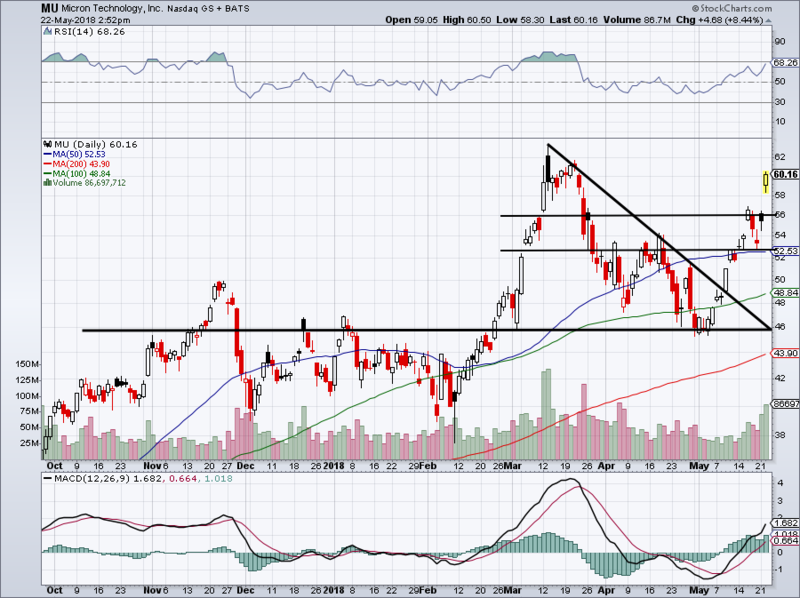 Should JPM get up and over this level, a run back to its prior highs is next. Bret Kenwell is the manager and author of Future Blue Chips and is on Twitter @BretKenwell. As of this writing, Bret Kenwell held a long position in JPM. Article printed from InvestorPlace Media, https://investorplace.com/2018/05/5-top-stock-trades-for-wednesday-morning-azo-jpm-mu-sq-tsla/.